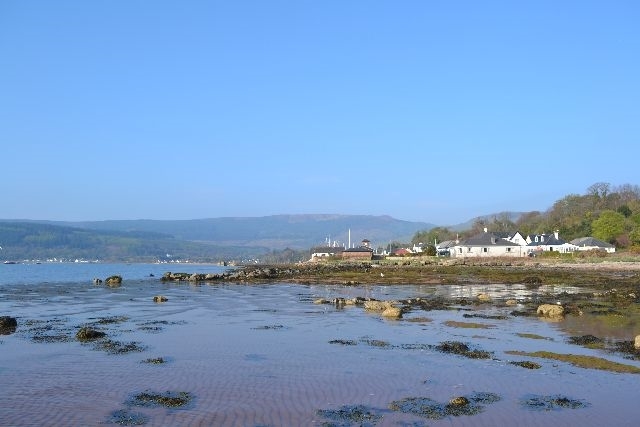 Enjoy your holiday with stunning sea views in very comfortable 4 star self catering, accommodation on the beautiful Isle of Arran. 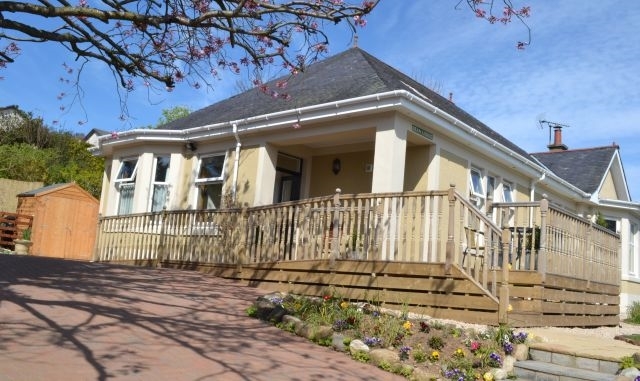 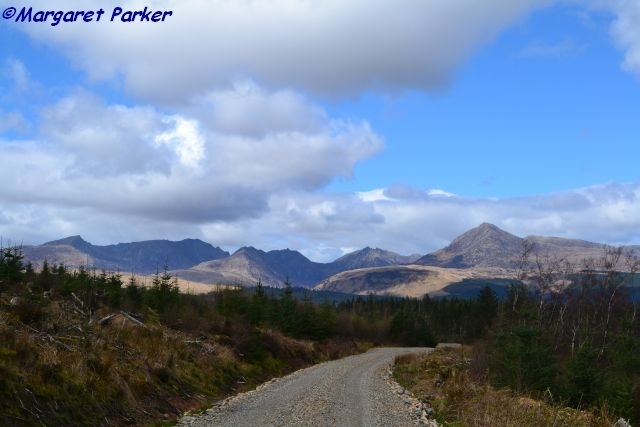 This is ideal base for walkers, golfers, cyclists and all other active visitors as well as those who wish a less active holiday whether just to relax or because mobility is a concern. 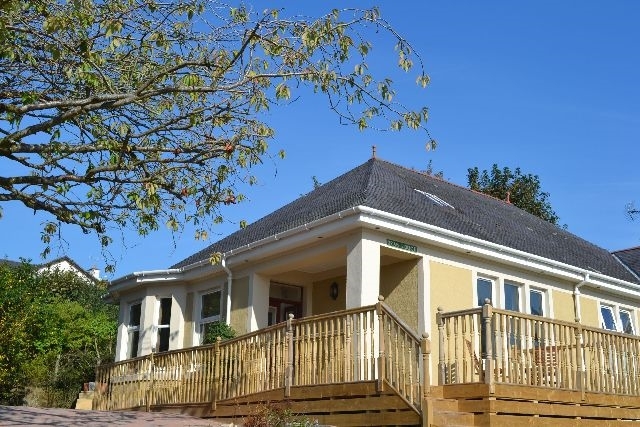 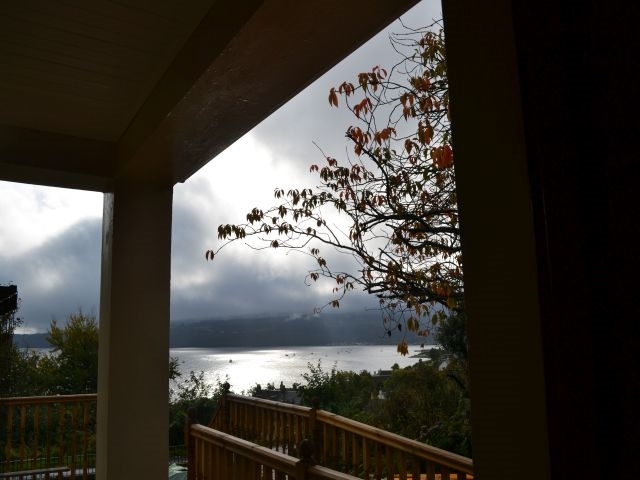 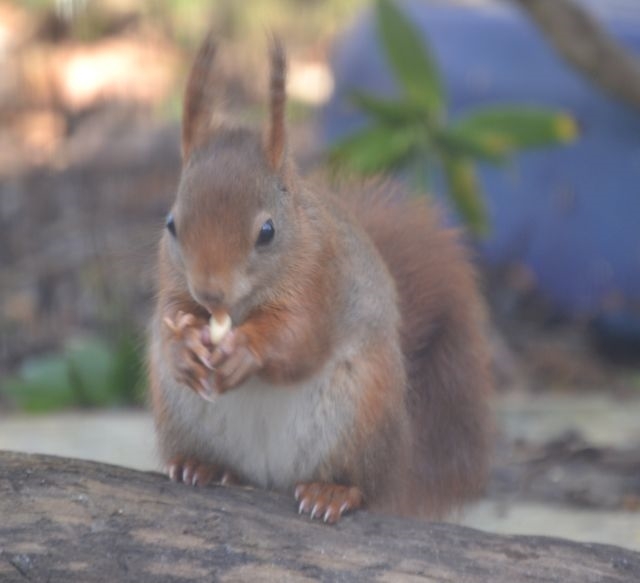 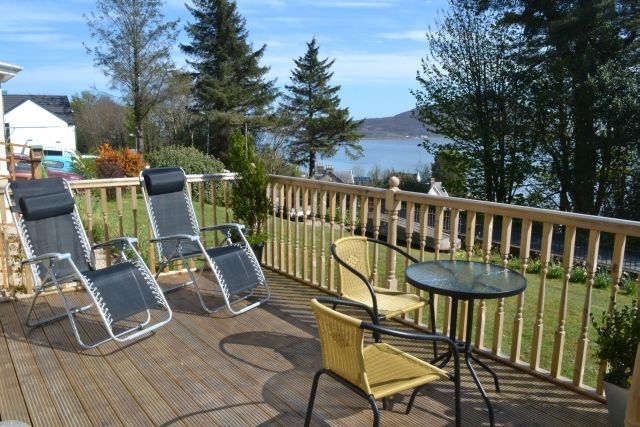 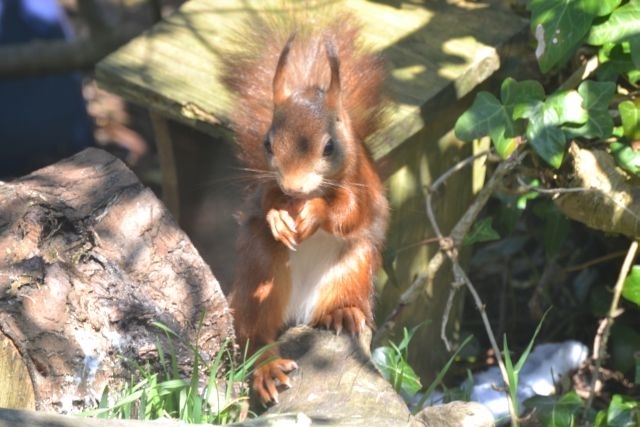 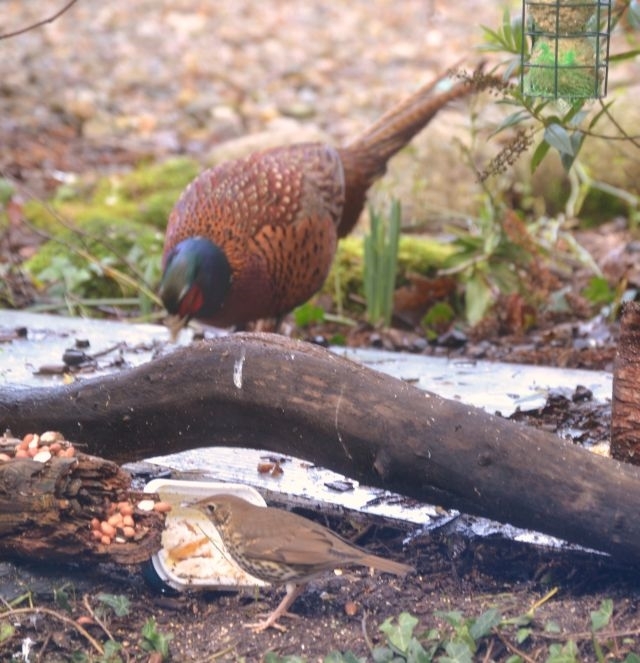 Enjoy the panoramic views of Lamlash Bay from the expansive area of enclosed furnished decking.This then gives level access to the house.Continue to enjoy the view from inside the apartment and watch the red squirrels as they come to the feeder right outside the window. 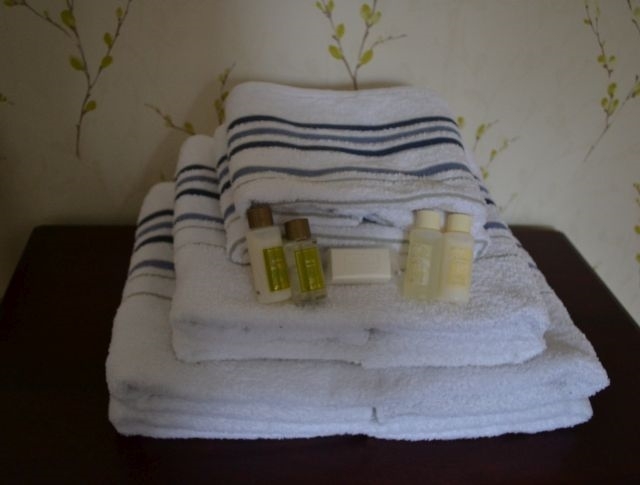 The house is very well equipped leading to many of our visitors describing it as " a home from home" and being provided with" things that they didn't know they were going to need but did" such as a picnic set, hemming tape and more. 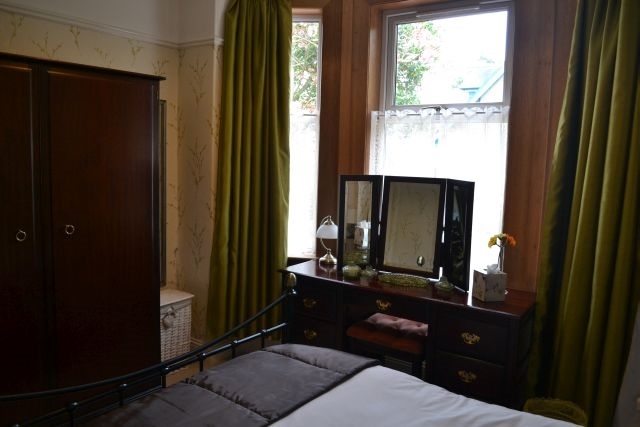 When developing this apartment, careful consideration was given to it suiting the needs of a variety of visitors. 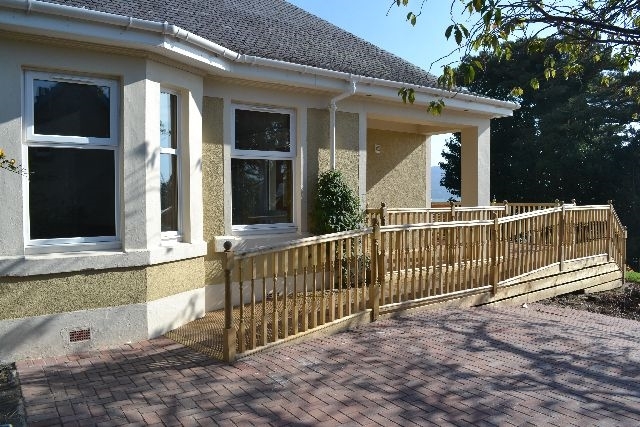 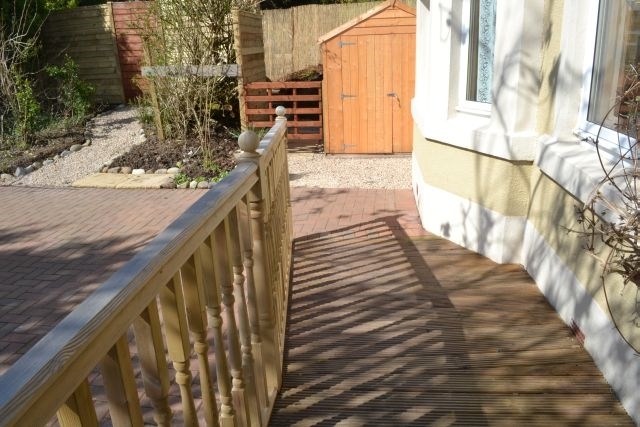 It therefore, suits the need of less mobile guests with ample parking including a level area, a ramp to the decking which is level with the low threshold main door, wide doorways and all light switches and sockets are at an appropriate height for wheelchair users. 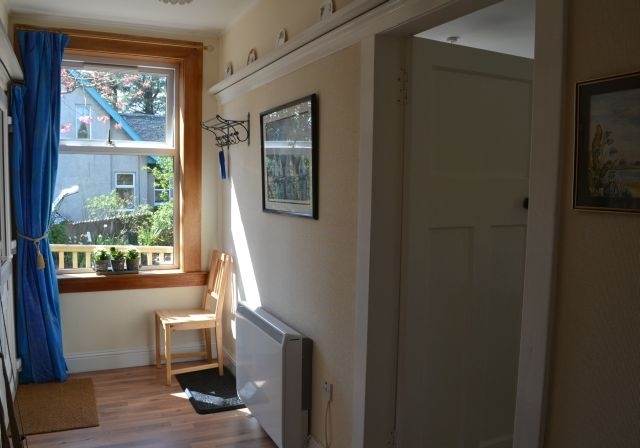 Additionally, we can supply a cot and high chair for a baby/ young child. 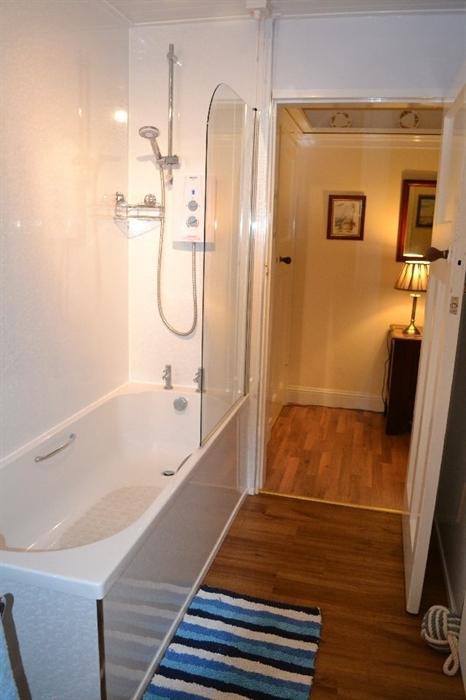 For more active guests a lockable shed is provided to store cycles, golf / walking /climbing / fishing / equipment / gear. 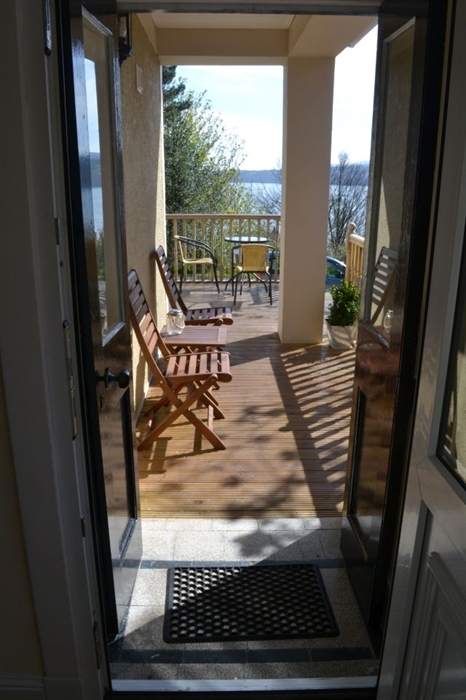 Regardless of how active or relaxing you intend to spend your holiday , this accommodation will provide you with a very comfortable base with exceptional views that you might not want to leave. 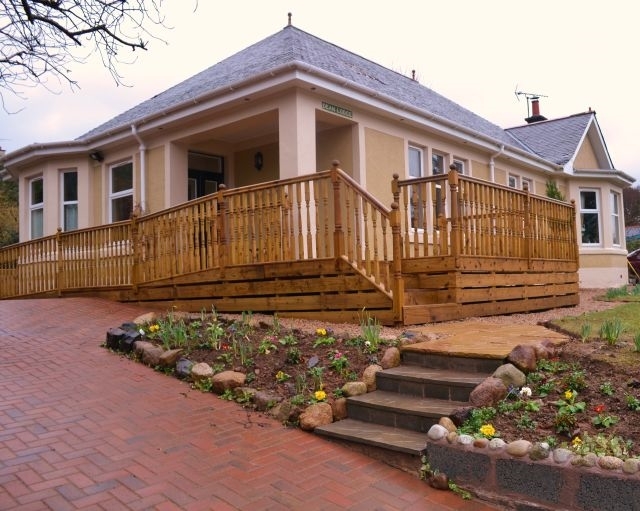 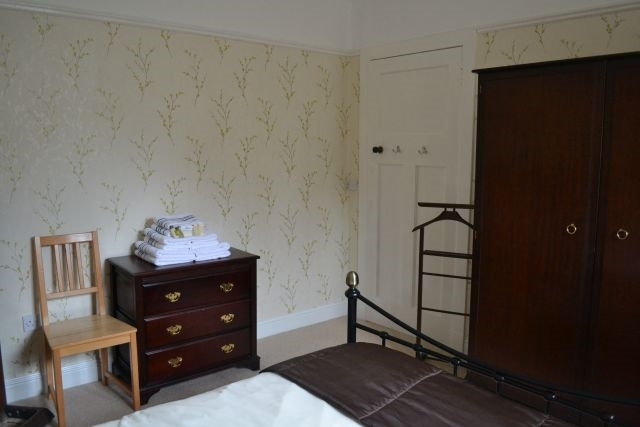 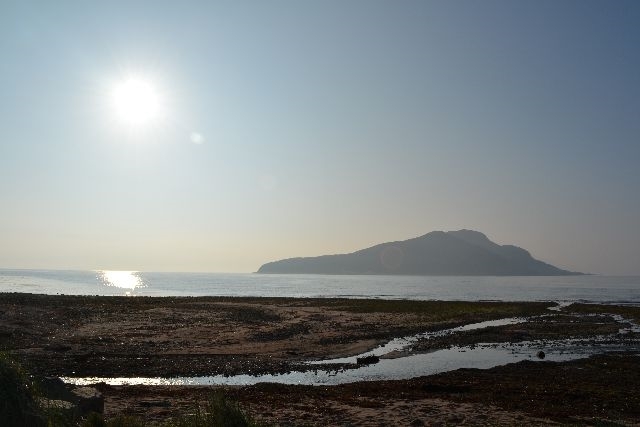 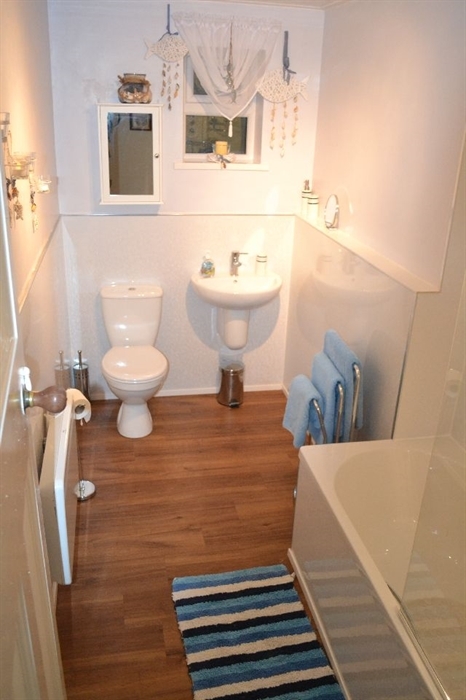 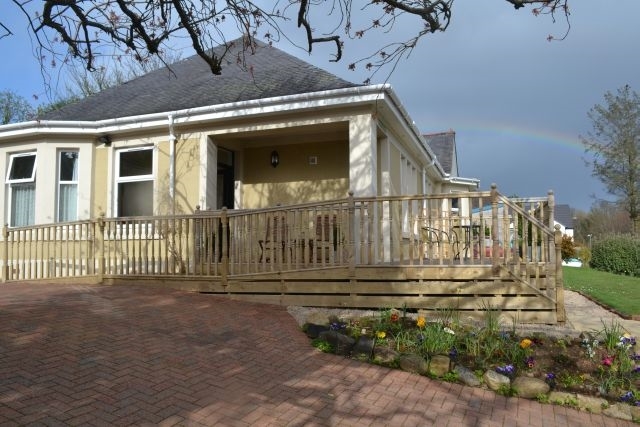 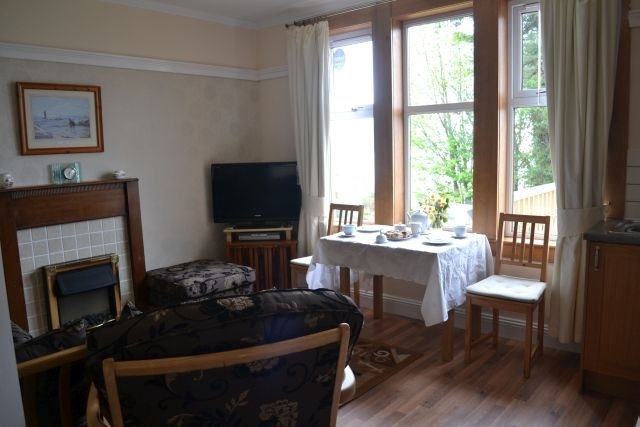 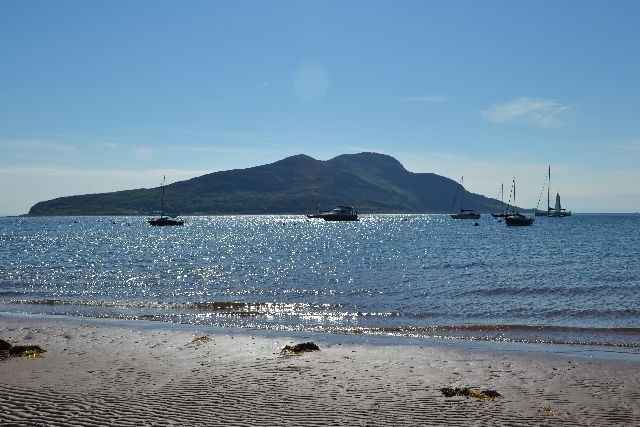 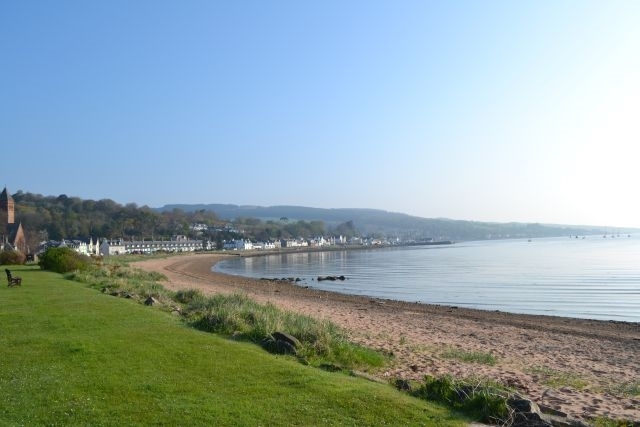 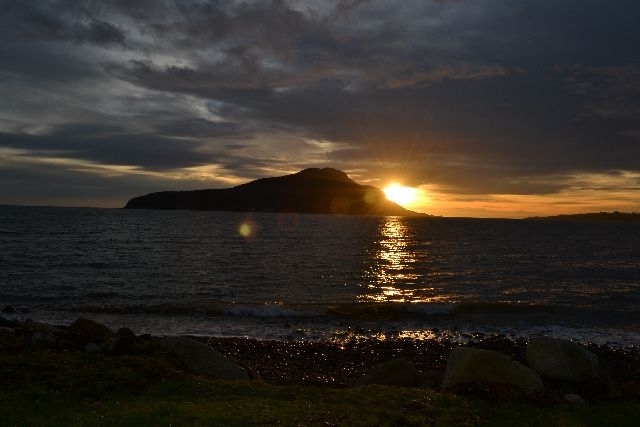 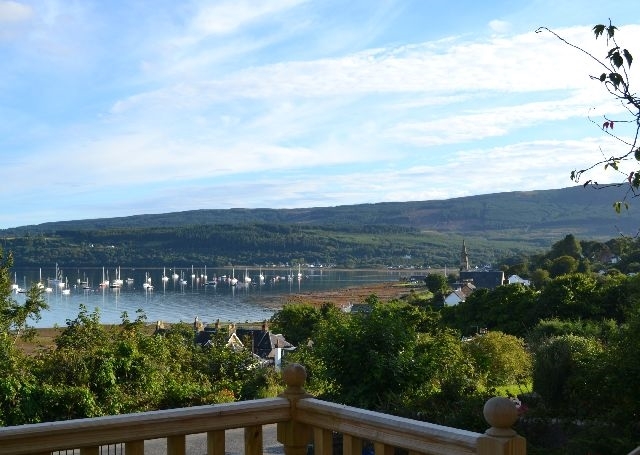 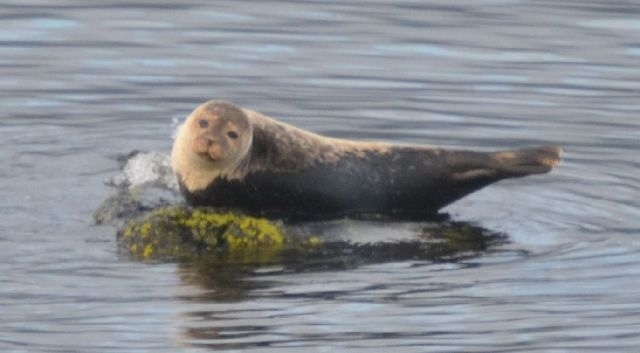 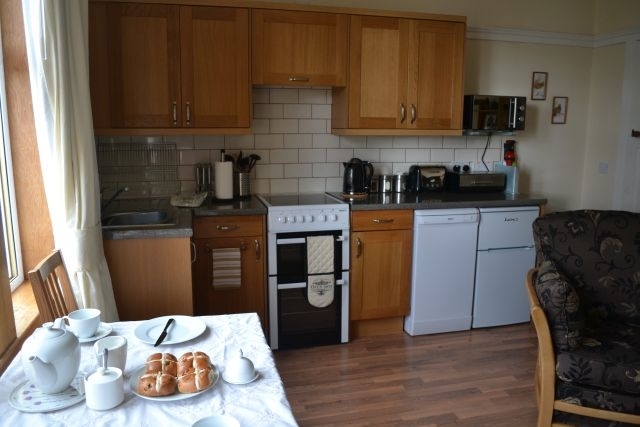 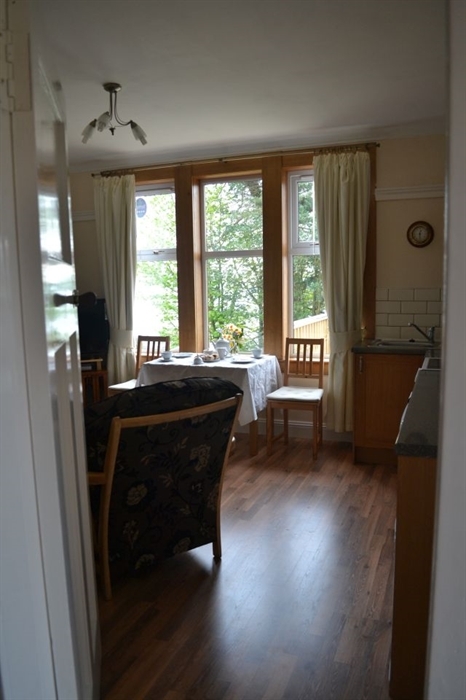 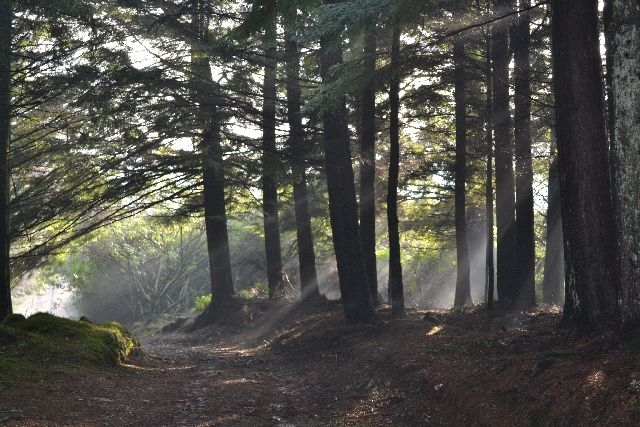 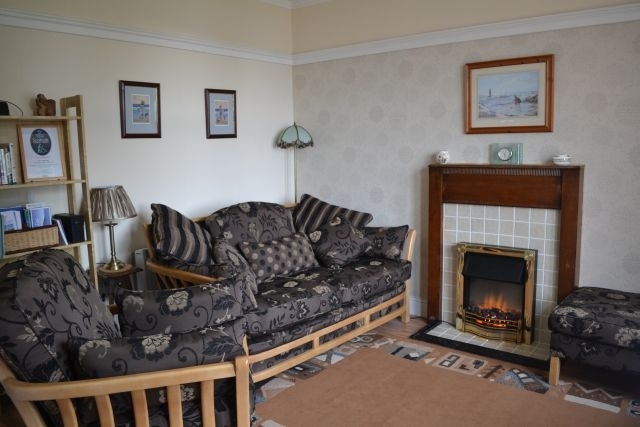 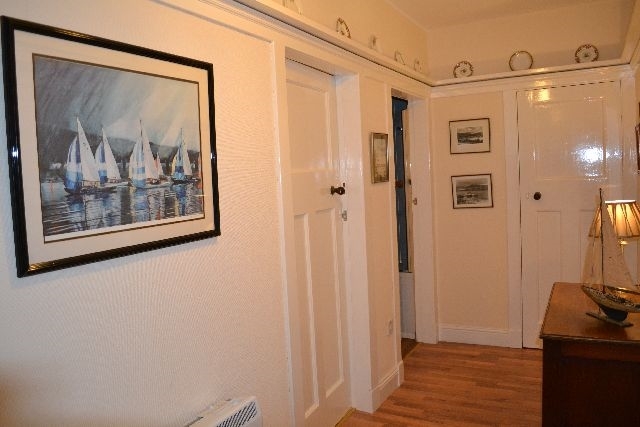 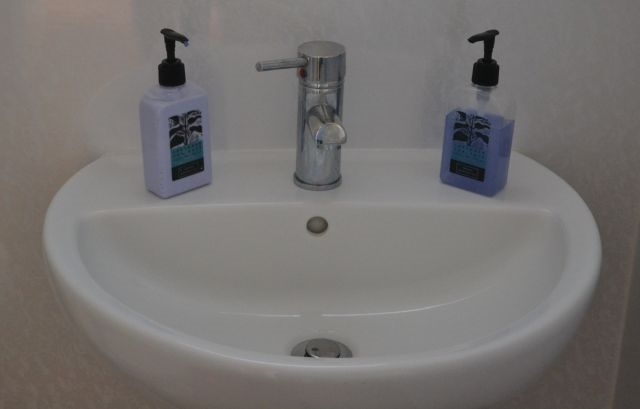 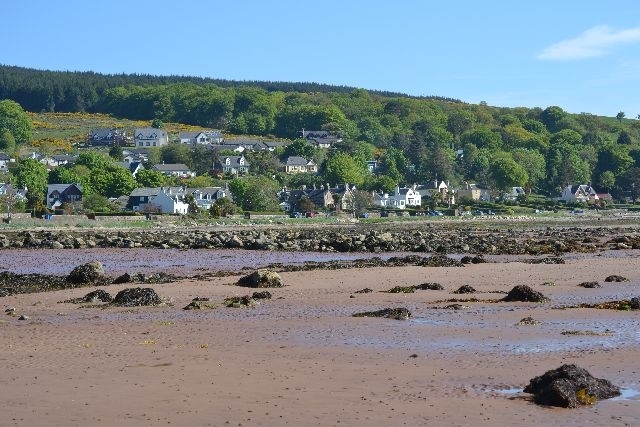 The house is close to the beach and other facilities within the village of Lamlash. 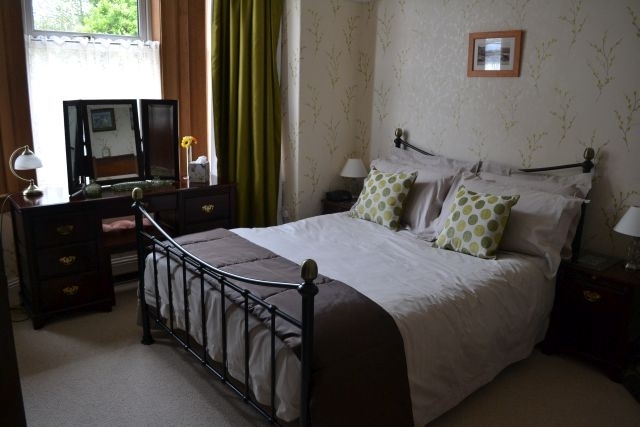 These include 2 hotels, 1 pub and 2 cafes . 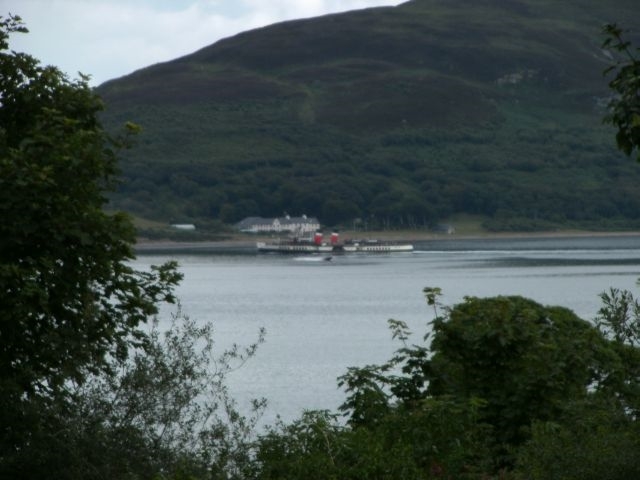 Additionally there are tennis courts,a putting green, a bowling green and an 18 hole golf course as well as the ferry to Holy Isle and a variety of shops.This is a superb high qualty base for your Arran holiday where you can relax and watch the shipping movements in the bay including the Waverley as it passes through or the occassional tall ship as well as the variety of yachts on the moorings.Also, watch the resident wildlife in the garden including red squirrels and a family of pheasant that wander about as well as the other birds- all without leaving the decking or house.If you plan a more active holiday then you can return and relax after a busy day drinking in the view while perhaps having a BBQ ( gas BBQ and gas provided) in this prime holiday location.